Canada has said it will allow the US extradition case against Huawei's chief financial officer to move forward, but the court must make a final decision. 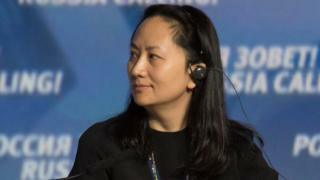 The US wants Meng Wanzhou to stand trial on charges including fraud linked to the alleged violation of sanctions on Iran. Ms Meng was arrested in Canada in December at the request of the US. China said the case against Ms Meng was an "abuse of the bilateral extradition treaty" between Canada and the US. Foreign Ministry Spokesman Lu Kang said allowing the extradition hearing to go ahead was a "political incident". China expressed its "strong dissatisfaction" and "resolute opposition" to the extradition proceedings, he said. The high-profile detention has soured relations between China, the US and Canada. US authorities filed almost two dozen charges against Huawei, the world's second largest smartphone maker, and Ms Meng in January, along with a formal request for her extradition. Canada's justice department had until Friday to decide whether or not the extradition case would proceed in Canadian courts. That decision was based on whether the request complied with the requirements of the US-Canada extradition treaty, and could not be refused if so. "An extradition hearing is not a trial, nor does it render a verdict of guilt or innocence," the justice department said in a statement on Friday, announcing it was authorising the extradition process in the case of Ms Meng to proceed. "If a person is ultimately extradited from Canada to face prosecution in another country, the individual will have a trial in that country." In a statement, Ms Meng's defence team said they were disappointed by the decision "in the face of the political nature of the US charges" and in the wake of comments made by the US president. Donald Trump has twice suggested he would intervene in the US Justice Department's case against Ms Meng if it would serve national security interests or help achieve a trade deal with China. "Our client maintains that she is innocent of any wrongdoing and that the US prosecution and extradition constitutes an abuse of the processes of law," they said. Could Huawei threaten the Five Eyes? She is next scheduled to appear in the British Columbia Supreme Court on 6 March, when it will be confirmed Canada has issued the "Authority to Proceed" in her extradition to the US. Image caption Michael Spavor (L) and Michael Kovrig have been put under "compulsory measures"
Ms Meng's arrest infuriated Chinese officials, who insist that she has not violated any laws, and led to a rise in diplomatic tensions between China and Canada. Canada says it is only following the rule of law in the case, but that has not satisfied China. Two Canadians are believed to have been detained in retaliation for Ms Meng's arrest. The case could also ratchet up tensions between China and the US, and impact the firm's global expansion efforts. US President Donald Trump's administration has reinstated all sanctions on Iran removed under a 2015 nuclear deal and recently imposed even stricter measures, hitting oil exports, shipping and banks. Huawei: Should we be worried about the Chinese tech giant? 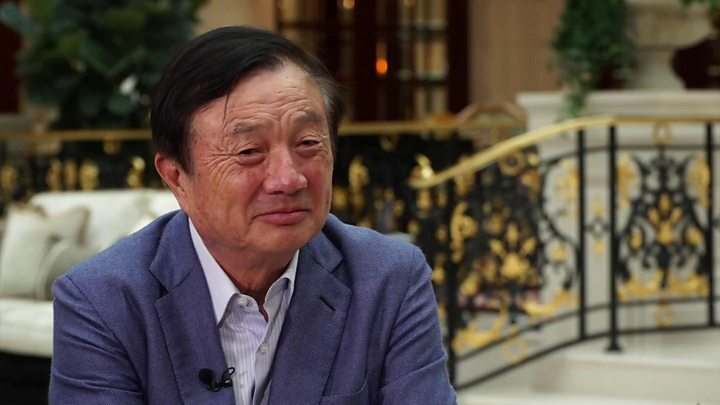 Timeline: What's going on with Huawei?